If you enjoy wine, ice wine, Niagara-On-The-Lake & Niagara Falls, tropical birds and gardens, elegant dinners or holiday illuminations then we have a wonderful day trip planned for you! Round trip transportation on deluxe highway bus with a washroom and WiFi. Elegant dinner in Niagara Falls included. Gluten-free and vegetarian options available, see menu below. 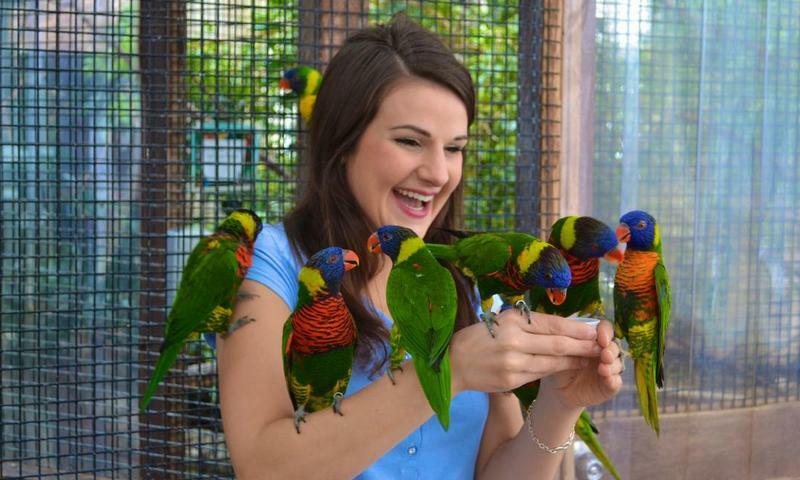 Admission to the Niagara Bird Kingdom with private interactive presentation included. Bus drive through the Niagara Festival of Lights included. Escorted tour with ShortTrips.ca tour director. Tour cancelled due to snow storm! All prices are per person, in Canadian dollars. All tips are included! 13% HST is extra. ​Children 10+ are welcome on this tour, same price as adults. 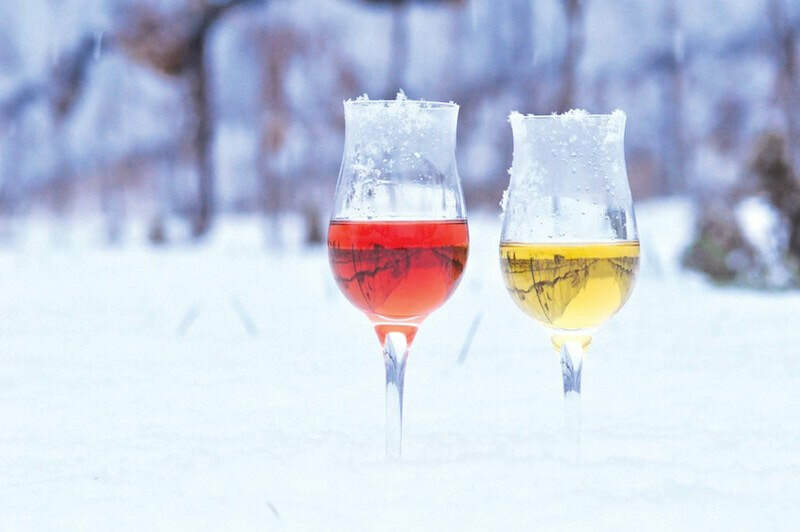 Niagara-On-The-Lake is transformed into a wintery wonderland, celebrating one of Canada’s most cherished products, Ontario Icewine. Oh, and it's not just icewine... you can sample lots of other wines and foods too. Over 25 wineries from Niagara Region will be there to entice you with their icewines (and other wines too) and signature chefs will tempt you with icewine inspired culinary creations. Admire the the ice carvers create their amazing sculptures, listen to music and when you get cold, pop into any of the many restaurants and cafes to warm up a hot chocolate or perhaps something even stronger. Please note that tokens are required to sample wines and foods. Tokens are not included in the tour price, they can be purchased on site. 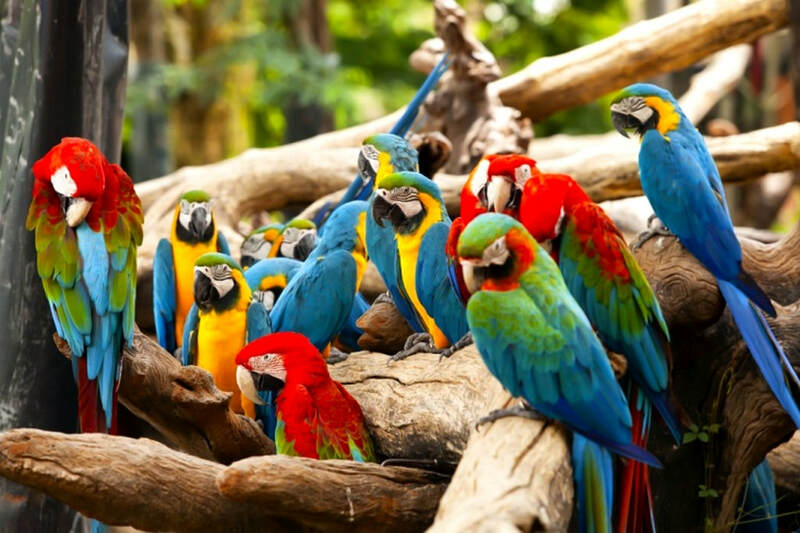 As soon as you enter the Bird Kingdom you are transported to a tropical rainforest with 400 birds flying free in 50,000 sq. feet of rainforest featuring a 40 ft. waterfall! Also get up close and personal with animals and reptiles from around the world. The Bird Kingdom also contains the only original Javanese House in North America, a 125-year-old nobleman's house from the island of Java. ​And don't forget to visit the night jungle where it's light at night and dark at day, featuring bats, owls and nocturnal animals. We will also be getting a private interactive presentation from Bird Kingdom staff and getting up close and personal with some of their birds. 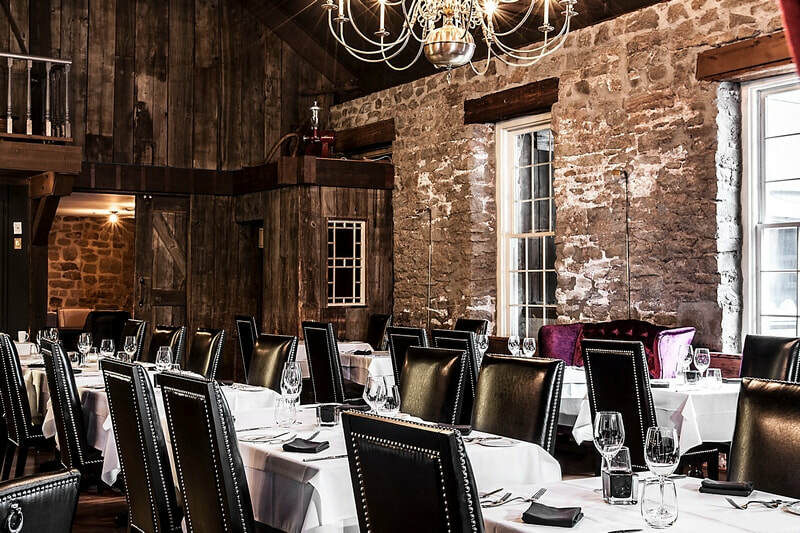 We will be dining at The Old Stone Inn in Niagara Falls which dates back to the turn of the last century. This quaint stone building began life in 1904 as one of the region’s leading flour mills. Built originally as a three-storey structure, the cornerstone was laid on July 4 in 1904. The restaurant embraces its 1904 roots with rugged stone and warm woods, exuding an opulent and relaxing environment feels more like home than public place. And by dining here you will be dining in a venue that has hosted some very special company! Over the years the restaurant has served Prime Minister Pierre Trudeau, Princess Diana, Dorothy Hamill just to name a few! Appetizer: Choice of seasonal soup or salad. Pan-Seared Ontario Rainbow Trout with Crispy Capers, Preserved Lemon Butter & Cardamom-Scented Wild Rice. Available gluten-free. Seared AAA Striploin with Tarragon Salted House Cut Frites, Truffle Aioli & Chimichurri Foam. Available gluten-free. Tea/coffee and soft drinks included. Cash bar available for specialty and alcoholic beverages. After our dinner, as darkness falls, we will finish off our day with a gentle drive along the Niagara Parkway to see the beautiful and creative light displays of the Niagara Festival of Lights.